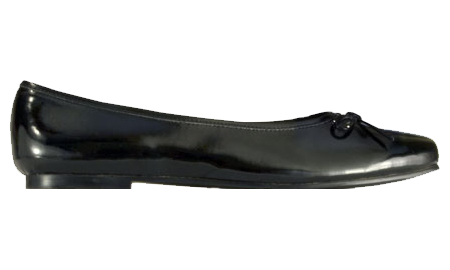 Ann in Mens Sizes in Shoes & Flats is made for Men with a 2 inch heel and comes in Black and is made of Patent material. It is marked as Flats, Slippers, WideWidth and weighs about 1.50 lbs. A low heel tailored suede moc slip on with burnished ornament for a great casual or dressed up look. Lauren is availabe in a soft black suede, rich, warm purple suede and a red leather. Lauren also comes with Le Dame comfort system.